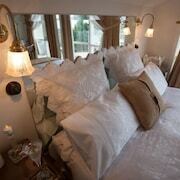 Clean, comfortable and convenient to Mornington high Street. Friendly staff too. The outdoor pool is not heated! Fantastic customer service. Great attention to detail. Yummy breakfasts. Friendly helpful host. Beautiful property/home/decor. Close to town centre/restaurants/beach/shops. Superb service I had an office problem. Was assisted with internet access and help. Advised on area by reception staff... thank you. Keen to leave it all behind and explore Mornington? lastminute.com.au has your stay covered with a small but awesome selection of hotels nearby. Choose from 6 places to crash within 5 kilometres of downtown. What's the point of coming to Mornington if you're gonna be staying out in woop woop? Immerse yourself in the city vibe at a central hotel such as Best Western Plus Brooklands of Mornington and Norwood House Motel & Reception Centre. There are 2 hotel options in Moorooduc, such as the Rangers Run Cottages and Woodman Estate - Luxury Country House Restaurant & Spa. This area is 8 kilometres away from the central streets, so keep that in mind! Be sure to bring your favourite 5-iron and get along to the well-maintained greens of Mornington Country Golf Course. The Mornington Hotel and Mornington Motel should definitely be on your accomodation hit list if you're looking to stay nearby. Visitors and locals alike love unwinding in Mornington Park. Fortunately, The Royal Hotel and Mornington Bed and Breakfast are not too far away, so you can stop by and see it whenever you like! 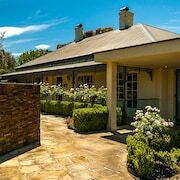 You might also like to try the Lindenderry At Red Hill, which is 17 kilometres away. 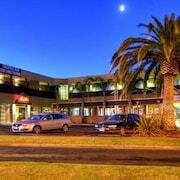 Or perhaps the Flinders Hotel, just a distance of 30 kilometres from Mornington. We'd also suggest the Aquabelle Apartments and the Beach Holiday Apartments Rye. The first is 25 kilometres from downtown, while the latter is 25 kilometres away. Beer or champagne? 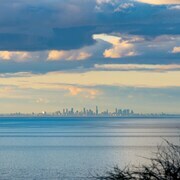 However you like to roll, you're certain to enjoy a trip to Frankston, 11 kilometres away. With the Frankston Arts Centre and Frankston Visitor Information Centre to check out, you won't be bored here. 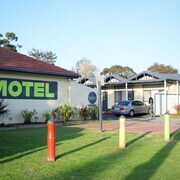 The Seaford Hotel and Frankston Motel are just some of the hotel and apartment options here. 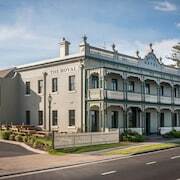 14 kilometres to the east of Mornington you'll also find Tyabb, which is home to the Harbour View Motor Inn and The Peninsula Motor Inn. Moonlit Sanctuary Wildlife Conservation Park and Hastings Foreshore Reserve are among the more popular attractions to experience for those visiting Tyabb. Ever had to spend a long night on the airport floor cos you got waayyy too excited and didn't book a hotel room? Save yourself the backache and see if you can score a room at the PARKROYAL Melbourne Airport or the Holiday Inn Melbourne Airport. Neither are far from Tullamarine Airport, which is only 65 kilometres from the centre of town.